Select that perfect gift for your "Someone Special" this Valentine's Day. 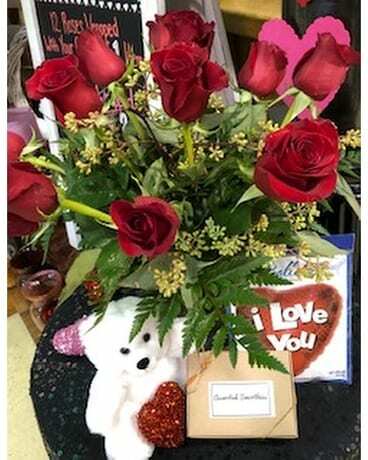 Twelve Roses beautifully arranged in a vase and presented with a Plush Teddy Bear, Delicious Chocolates and a Mylar Balloon. 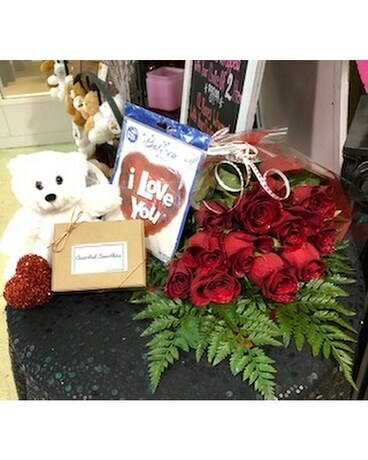 The perfect package for your someone special.